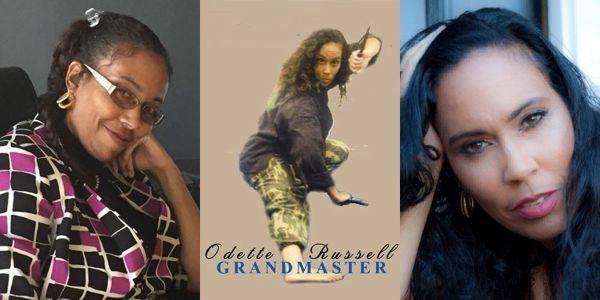 Odette Russell is a Grand Master (8th Degree Black Belt) under the SWAM Martial Arts Academy. She is a native New Yorker and is Vice President of Health and Wellness of Damit Control as well as a Contributing Editor to Damit Control through her blog entitled Odette’s Place. 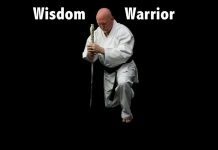 With over 33 years of martial arts training, Odette Russell is responsible for customizing an aspect of the SWAM Martial Arts system targeted for women and has taught this system to hundreds of females. The new program modification, together with her complete body of work within a system — designed to enhance a woman’s self-confidence, self-esteem, and positive body image — has earned Odette the title as SiDaGoo, Head Female Instructor. Odette is well-known and respected in the Atlanta wellness industry as an advocate, a life coach, well-being counselor, and health educator. She conducts fitness and wellness workshops, training camps, lectures, and gives presentations to local businesses and colleges. 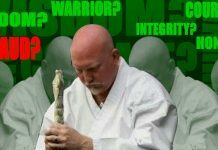 Odette is a frequent guest speaker on Health and Wellness on the national Martial Arts talk radio program – www.blogtalkradio.com/docradio. Odette is certified by the Corporation Health & Wellness Association as a Corporate Wellness Specialist. She is presently a Wellness Manager at a health clinic in Atlanta. She has a Master of Science degree in Health Psychology, and is currently a Ph.D. candidate in Health Psychology at Walden University with an anticipated graduation date of January 2016. Her dissertation focuses on the “Sociocultural Factors Relating to Cultural Acceptance of Female Obesity”. Odette is also a Contributing Editor to Damit Control. Her blog is entitled Odette’s Place. At Odette’s Place you will gain the benefits of all that is Odette and some! Odette Russell currently lives in metro-Atlanta, Georgia.